Next time you’re lying awake at night, type “lavender” and “sleep” into Amazon. You’ll be amazed at the endless list of results. Lavender sprays, lavender oils, lavender pills, patches, salts and soaks — all claiming to help insomniacs get their life back. But does any of it actually work? Besides smelling wonderful, lavender, the purple-flowered herb scientifically known as lavandula, is often thought to have stress- and anxiety-reducing capabilities. A clinical study out of the University of Minnesota School of Nursing shows that lavender has helped everyone from college students to night-shift nurses sleep better, but research is sparse, data groups are small and the actual association between the herb and our z’s is often unclear. 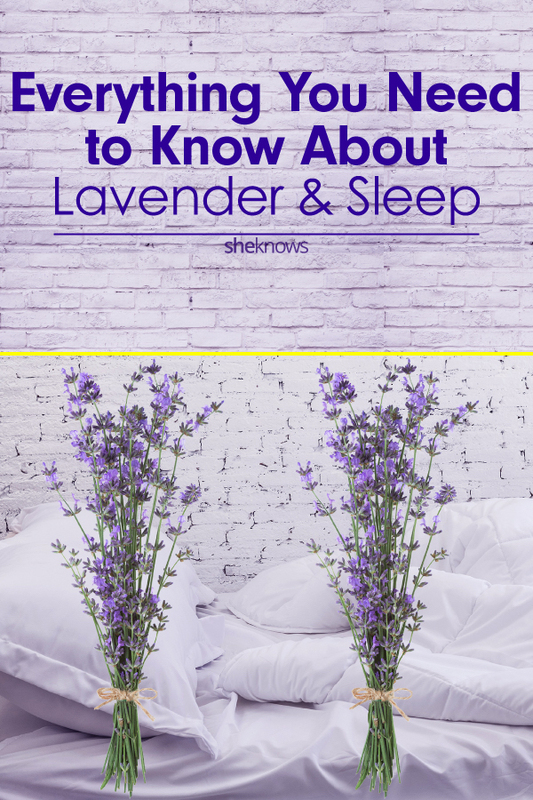 Without a ton of academic research done on the subject — something Shives attributes to the influence of big pharmaceutical companies — it’s difficult for doctors to develop a chemical cause-and-effect relationship between lavender and sleep. However, sleep specialists aren’t ready to discount the herb entirely. Lavender seems to work for some patients, but maybe in a different way than we might first think. It makes sense. When we catch a whiff of the sweet aroma of our mom’s best recipe or the distinct fragrance worn by an old summer fling, our minds are momentarily placed at ease. According to our experts, lavender aromatherapy may work similarly by tying the pretty scent to the memory of a really good night’s sleep. 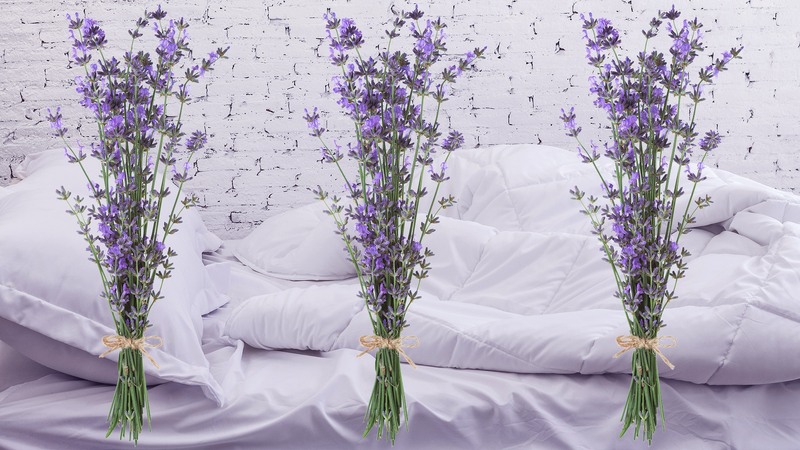 Winter often suggests that traveling patients spray lavender onto their pillow at home at night and use the same spray when trying to fall asleep at hotels. “If you set yourself up to associate this unusual smell of lavender with sleeping in your own bed, it tricks your brain into thinking you’re at home when in fact you’re not,” Winter explains, adding that this technique can be tested using anything with the scent of lavender, be it a spray, a diffused oil or perfumed lotions and creams. But when it comes to ingesting lavender through oral capsules, Shives remains wary. And she’s right — a quick glance at the some of the labels of common “lavender” sleep-aid pills shows us the lavender in the capsule is also often paired with synthetic ingredients such as sorbitol, magnesium stearate and titanium dioxide. For patients seeking truly natural at-home remedies, Shives recommends using the scent of lavender in its natural state, like in a tea, bundled in a sachet or as an essential oil spray. Whether or not it biologically impacts your brain, lavender could be effective at calming you down before bed. Winter says, “It’s often the anxiety about needing to sleep well that disrupts your ability to fall asleep,” not necessarily your genes or a lack of medication. Reducing bedtime anxiety can be as simple as thinking lavender works. While he can’t medically explain all the successful creative methods his patients have implemented — ranging from acupuncture to bedside magnets — he suggests patients keep an open mind about finding things that help them sleep rather than immediately reaching for Advil PM. So go ahead; try it out — lavender in its natural state cannot do the body any harm. And it certainly won’t make your bedroom smell any worse.